I find a peel-off face mask so absolutely satisfying. There is something about it, that I just love. Maybe it’s the feeling of renewing the skin, but it is extremely satisfying. Origins new GinZing peel-off mask is exactly that. Not only is it winning on the peel-off front but the colour of it is metallic copper, enough said. This mask is your ideal skin pick me up. It has all the ingredients to give your skin an energy boost and then some. It will lift away dull, tired skin and reveal a more refreshed complexion. So how does this magic work? To refresh tired skin and refine pores it has lemon, orange and apple fruit acid complex, as well as energy boosting ingredients caffeine and panax ginseng which will help to banish the signs of fatigue. Whilst grapefruit lemon and spearmint will help refresh and uplift you own individual senses. 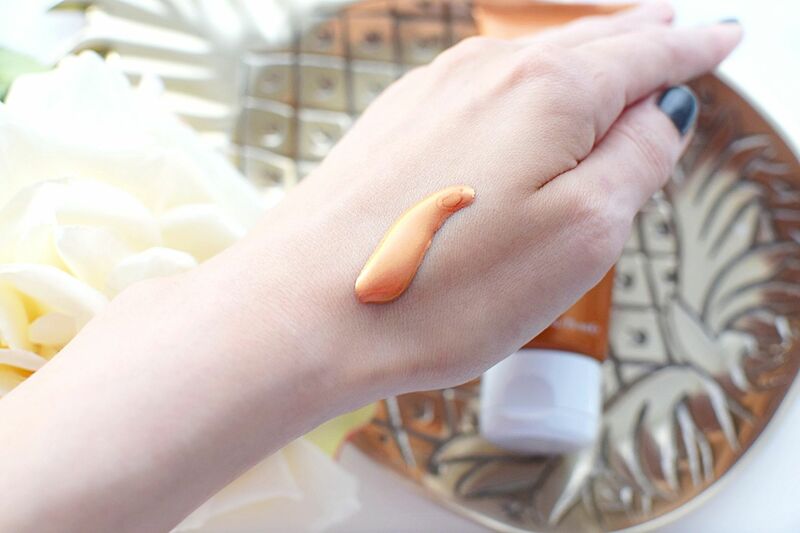 I am obsessed by the colour of this product as you can see it catches the light and when you apply it, it still stays the same amazing copper colour. As pretty as it is, don’t be tempted not to use enough, you need a good-sized amount to apply an even layer, maybe even add more than you think. As for it to peel it needs to not be applied thinly or you may struggle to peel it off. The first time I used it, I had this issue, but the second time I applied more than enough and it peeled off perfectly. So just apply an even layer, avoid your eyebrows and hair-line and leave on until dry, your face will start to feel tight and if you frown on your face you will see it start to crinkle and you know you are ready to take it off. My skin was left looking refreshed and smooth afterwards. Maybe even use this one in the morning if you have time to start off your day. 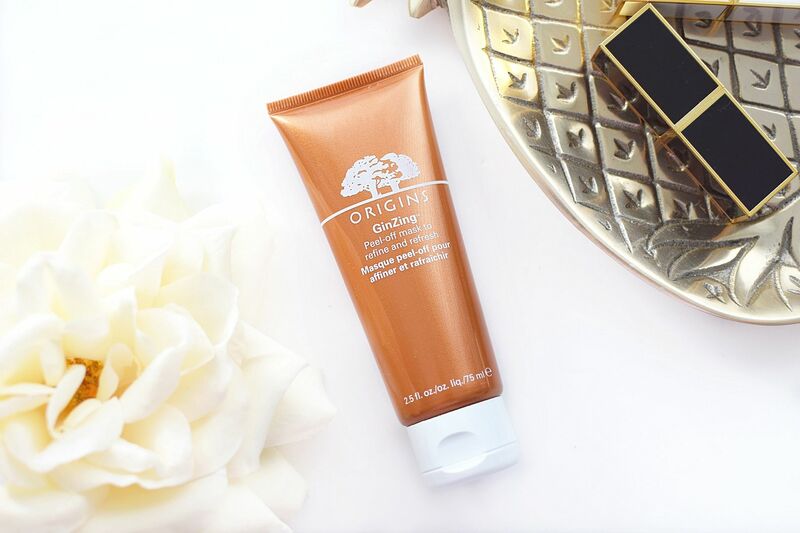 The Origins GinZing Peel-Off mask is available to buy now for £24.